THE Barotse Royal Establishment (BRE) is ready for dialogue with Government over the Barotse Agreement of 1964 in order to settle the matter that has remained divisive for a long time and has been the cause of political instability in the province. 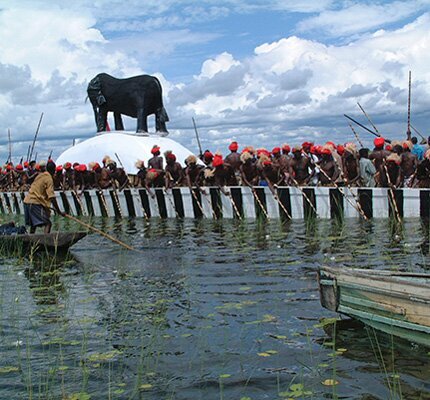 BRE spokesperson Induna Katema said the Kuta was ready to open talks with Government on issues surrounding the Barotse Agreement of 1964.. He said the Barotse Agreement should not be rushed but instead negotiators needed time if they were to yield results. Induna Katema said it was a shame to hear some individuals in the area insulting the establishment which he said was not a solution to resolving the matter. 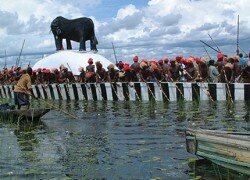 “What is happening is that people have now lost respect for their Lozi culture and tradition. This leaves much to desired because from time immemorial the Lozi people were well known for their respect for elders,” Induna Katema said. The Induna said insults would not resolve the situation and advised against temptations of politicizing the Barotse Agreement of 1964. He cautioned young Barotse activists who had no respect for the traditional leadership to stop doing so and wait for the right time, saying they should not allow themselves to be used by people with ill motives to bring confusion in the country. “Other chiefdoms are solving their problems because they have respect for their chiefs and l feel tears in my eyes to see how some people are disrespecting the Lozi tradition,” he said. Induna Katema said the only way to bring harmony in Western Province was to have respect for the Litunga as head of the province, saying people should use right channels if they were to have their cries heard. Vice-President Wina disclosed in Parliament that as far as Government was concerned, Barotseland was part of the 10 provinces of Zambia and that there was no state called Barotseland. Ms Wina said this during the Vice-President’s question time after Sikongo UPND Member of Parliament Mundia Ndalamei wanted to find out when Government would honour the 1964 Barotseland Agreement. Meanwhile, Induna Katema said the Litunga’s 16th annivesary celebration on the throne would take place at the end of this month in Lealui.“Preparations are underway for the Lozis to celebrate the 16th annivesary (coliso) of the Litunga Lubosi Imwiko on the throne.